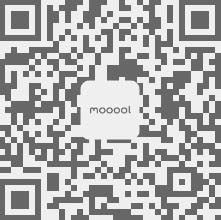 Thanks SelgasCano for authorizing the publication of the project on mooool, Text description provided by SelgasCano. SelgasCano：The site-specific commission of the Fondation d’entreprise Martell, the Pavillon Martell de SelgasCano, is a new, multifaceted architectural project created by Spanish architects SelgasCano and intended to completely fill the vast paved courtyard situated behind the Foundation during the first phase of work. 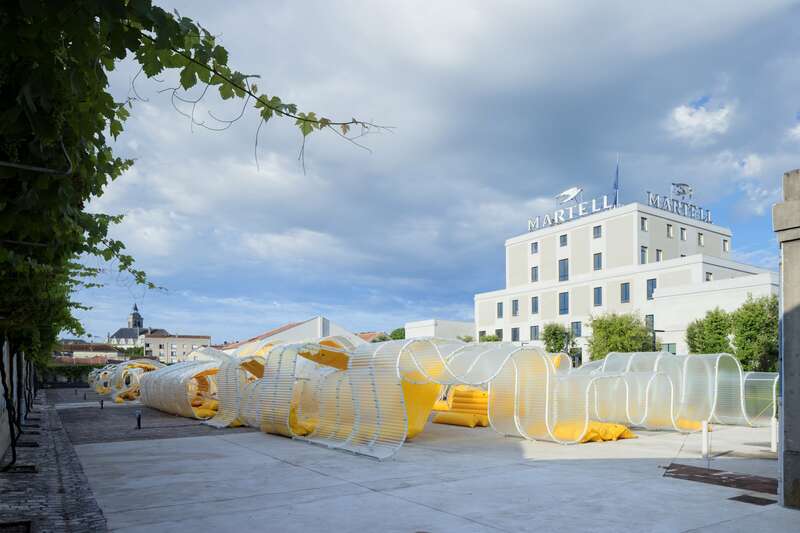 After the installation Par nature by Vincent Lamouroux, the Pavillon Martell de SelgasCano, conceived this time for the exterior of the building, brings a new architectural and international dimension to the Foundation. 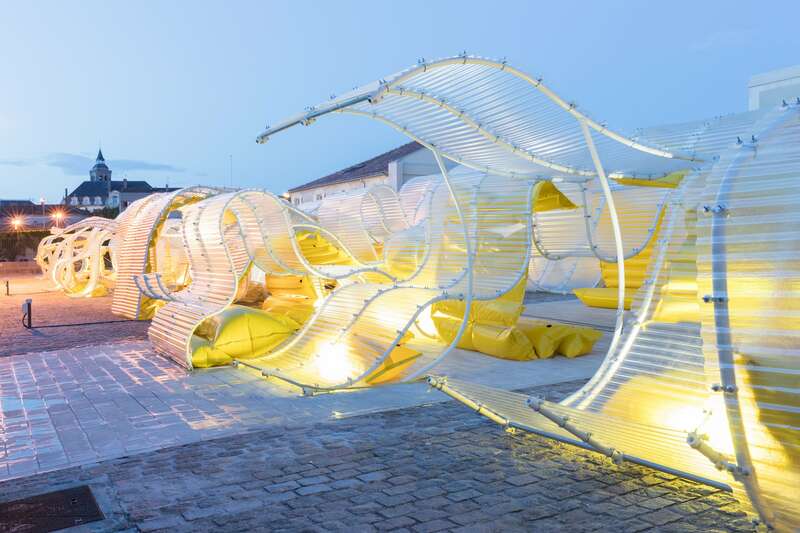 ▼亭馆由高科技材料构建的模块组成 This exterior pavilion is comprised of modules constructed from hi-tech materials. 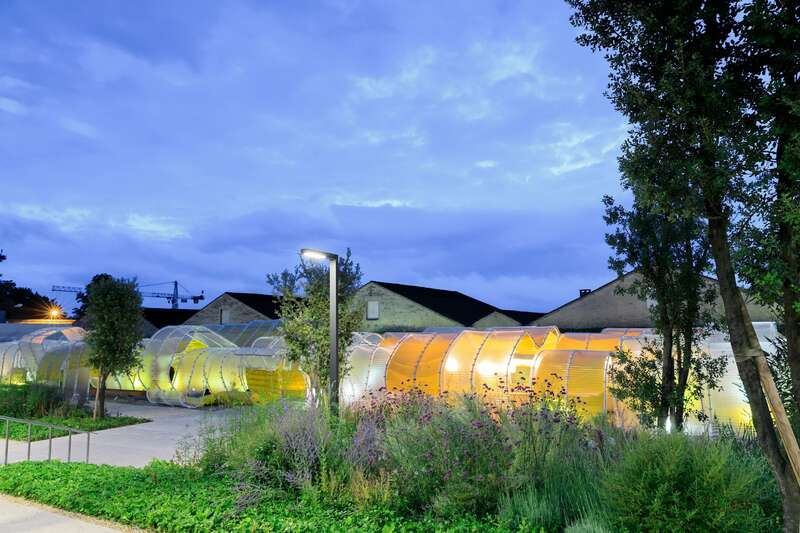 True to their aesthetic of transparency and openness to the outside world, SelgasCano constructed the pavilion from a metal framework covered by a translucent material developed by French brand Onduline. Strong and watertight, the material is permeated by a soft, changing light which creates intriguing iridescent effects. 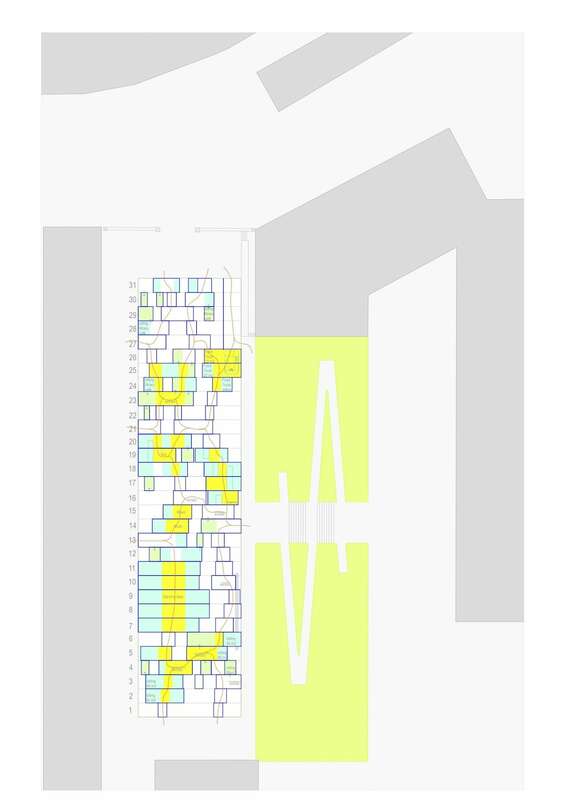 The rainbow reflections thus created are ideally suited to the architects’ aesthetics. 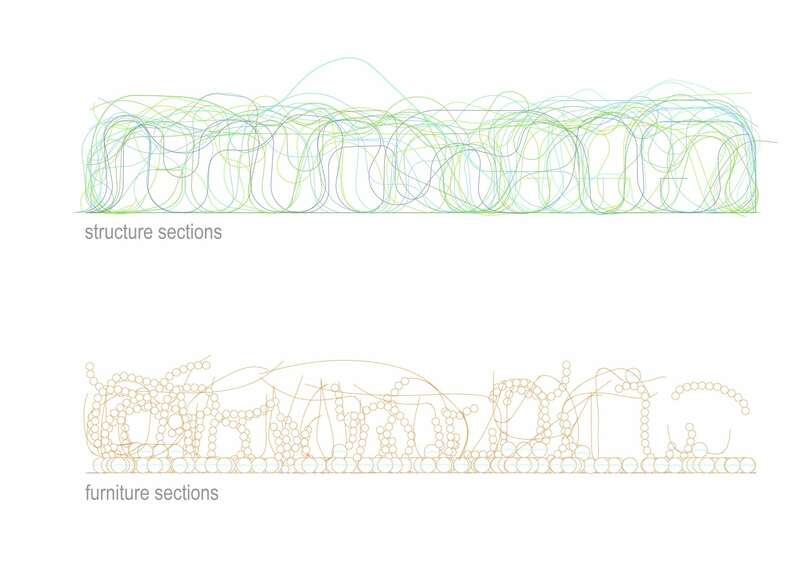 This large pavilion, composed of flexible and organic shapes, is in harmony with environment, the architects defending the idea that “nature must prevail over architecture”. 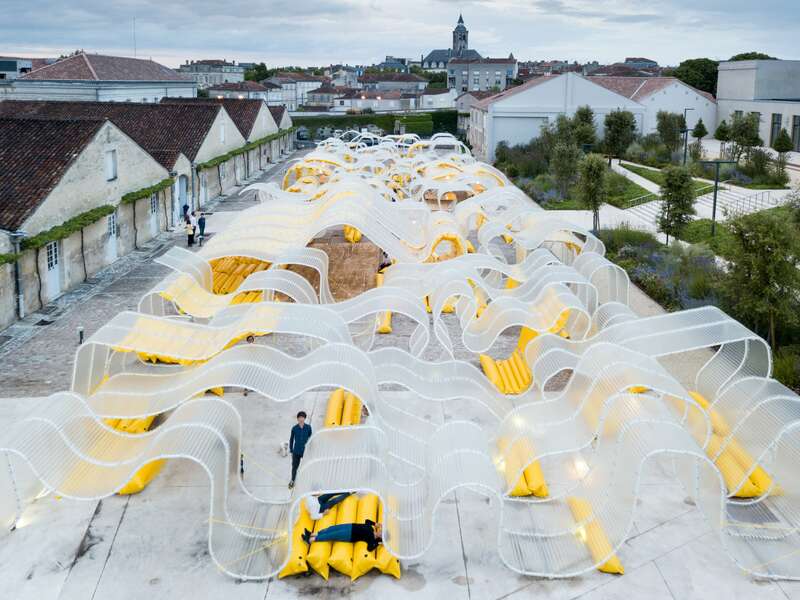 The Pavilion also illustrates the transversality of technologies, uses and materials, which is a major focus for future projects developed by the Foundation. 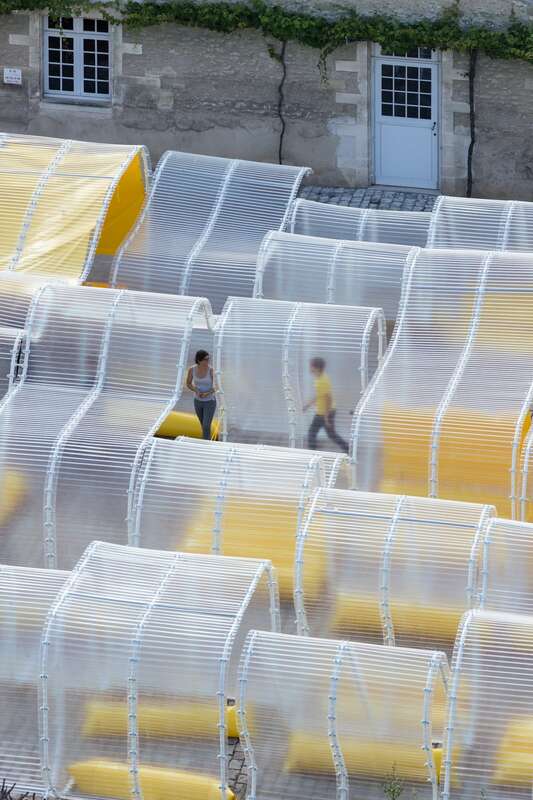 Designed to host visitors and events, the Pavillon Martell de SelgasCano brings together a diverse programme centred on activities and themes that prefigure the Fondation d’entreprise Martell’s programming. 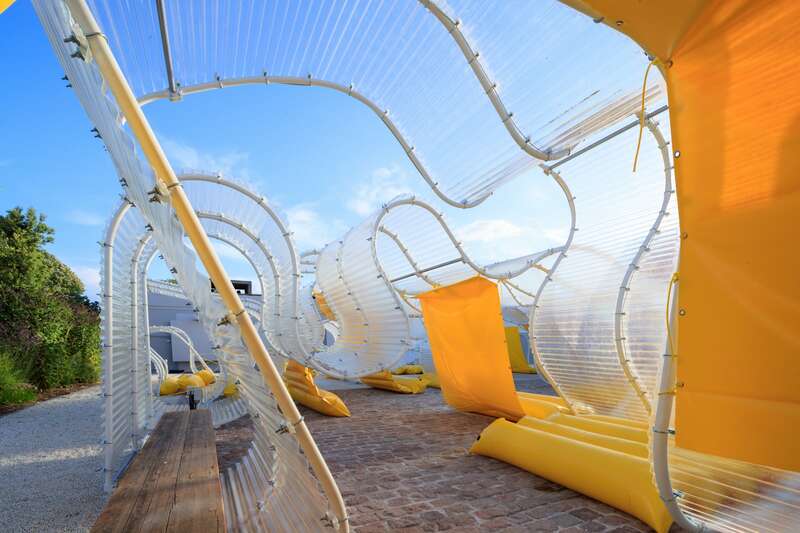 Inflatable seats installed in the structure, attached by straps, will allow visitors to sit, lean, or stretch out in the context of workshops, concerts, presentations, conferences, markets, games, moments of relaxation, wanderings, etc. 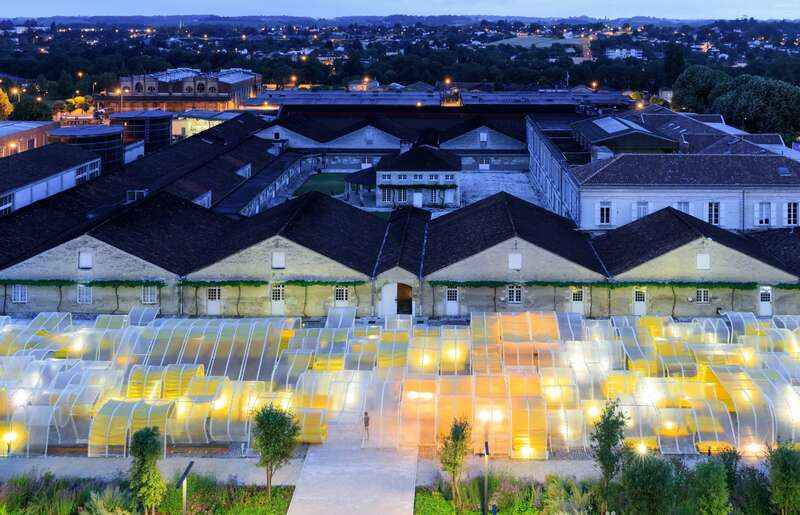 From summer 2017, visitors will be able to enjoy creation and performance-based experiences with invited designers including Atelier W110 and 71bis, and artistic partners such as the Abbaye aux Dames. 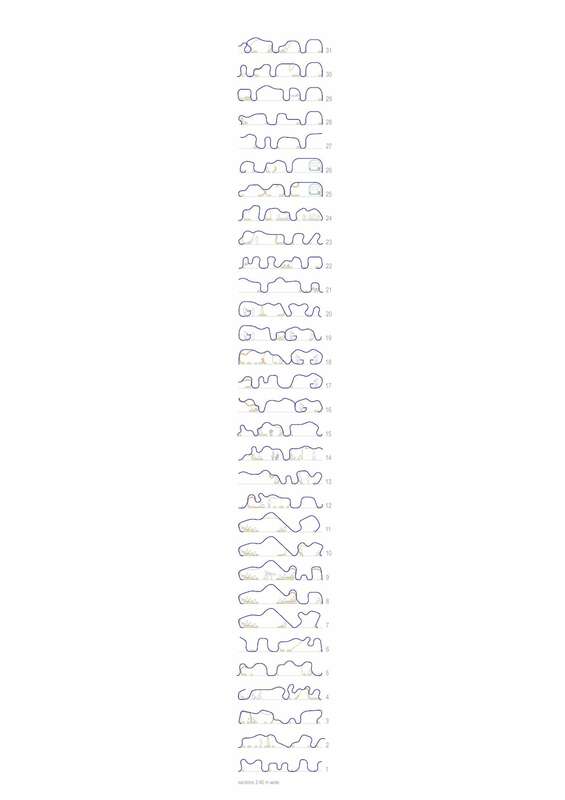 Number of sections: 31 of 2,40 m wide each. 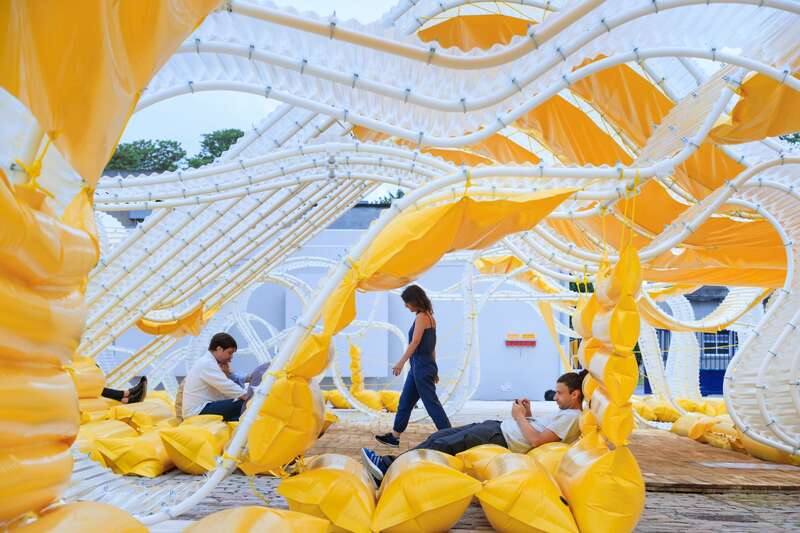 – Furniture and foundation of the pavilion: PVC yellow cushions inflated with air and water.